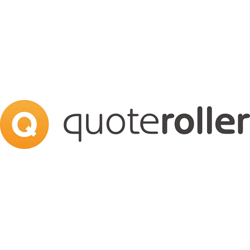 The ability to send professional proposals and quotations is core to a huge number of Sage One customers so it’s with great pleasure we announce the latest addition to our ecosystem – Quote Roller. As the name suggests, Quote Roller allows you to easily create professional proposals and quotations. This is something most of us (including myself) normally find tedious and time consuming. According to Quote Roller, their average user saves eight hours/month, with an increase in close rates of 20% over using conventional word processing or design programs. We’re pleased to announce a new integration of Quote Roller with Sage One that allows you to easily send quotes to your Sage One customers using their intuitive wizard. When creating a quote there’s a huge number of templates to choose from which members of the Quote Roller community can create and share with others. You can also add video, pictures, and create full-color digital catalogues of products. As the quote is online, once you’ve sent it you can see analytics such as when the customer viewed it and what they looked at. This helps you know what parts of proposals your clients spend the most time reviewing. Quote Roller also integrates with most CRM tools such as SalesForce, Sugar CRM, and Highrise, enabling you to go from tracking your proposals and sales process to integrating new clients into Sage One. Quote Roller is a company who clearly understand the innate advantages of the cloud and know how to utilise these advantages. They provide a real value add over email or snail mail. Allowing your clients to digitally sign the quotation was the icing on a very accomplished cake. The guys at Quote Roller have built a very thorough quotation service which will satisfy the needs of the majority of our base. If you send proposals or quotes and use Sage One, I recommend you take a look at this page detailing how the Quote Roller to Sage One integration works. Educación cambia vidas y transforma las economías.